This transcript is taken from videotape of the live broadcast seen nationwide on ABC on November 22, 1963. The interviewer, seated on the left, is WFAA-TV program director Jay Watson. 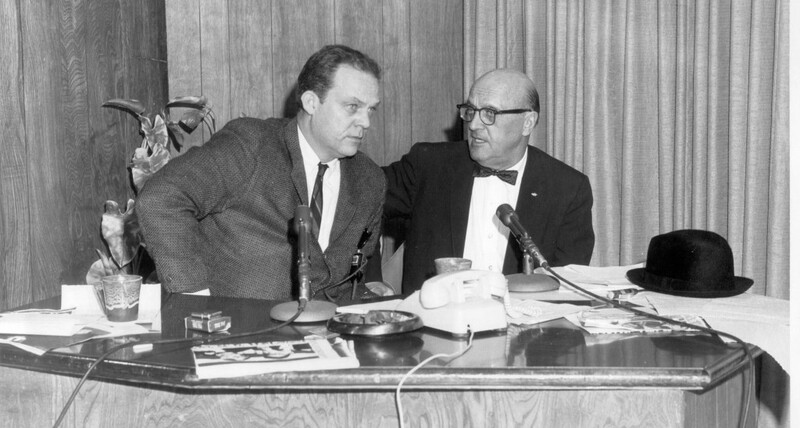 On the right is Abraham Zapruder. The interview is part of the Museum’s WFAA-TV Collection. Watson: A gentleman just walked in our studio that I am meeting for the first time as well as you. This is WFAA-TV in Dallas, Texas. May I have your name please, sir? Zapruder: My name is Abraham Zapruder. Watson: Zapruda. And would you tell us your story please, sir? Watson: I think that pretty well expresses the entire feelings of the whole world. Zapruder: Yes, I brought it on the studio, now. Watson: … we’ll try to get that processed and have it as soon as possible. WFAA then shows a videotape of the hearse with Kennedy’s body leaving the Parkland Memorial Hospital driveway. 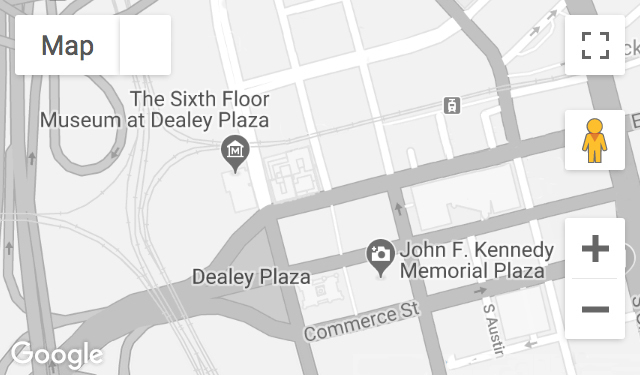 Watson next shows a photograph of the Texas School Book Depository and points to the sixth floor window. Zapruder: I must have been in the line of fire. Watson: … today. Excuse me; go ahead, sir. Zapruder: I say I must have been in the line of fire where I seen that picture where it was. I was right on that, uh, concrete block, as I said. And as I explained before, is a sickening scene. At first I thought perhaps it’s a, uh, it sounded like, uh, somebody make a joke, you hear a, a shot and somebody grabs their stomach.